Search for Modele Philippines launched By JAY PATAO Photos by Joselito Caleon MODELE Philippines, a new search envisioned to be the most glamorous, most prestigious and game-changing modeling contest in the country, was launched at Sarika, Dusit Thani Hotel in Makati City last October 21, coinciding with the induction of new officers of the Professional Models Association of the Philippines (PMAP). To be presented by the Zen Institute with A Concept as producers and fashion and beauty icon Renee Salud at the helm, the contest will be in partnership with PMAP, the country’s most esteemed models’ guild now headed by the new set of officers namely: Raphael Kiefer, president; Girlie Benitez, vice president; Ana Sideco, treasurer; Aya Abesamis, secretary; Paulette Quinto, disciplinary officer; Jairus Ferrer, special projects officer; Natasha Bautista, public relations officer; and Hye Won Jang, junior board officer. The contest, which aims to attract “premium” candidates through handsome cash prizes, upgraded non-cash prizes, talent contracts, product endorsements plus automatic membership into the elite models circle that is PMAP, promises to “revolutionize the modeling industry by proper honing, polishing and nurturing newbies on the rudiments of modeling in order for them to make it big in the industry,” according to Salud. 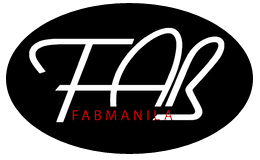 Go-sees (schedule to be announced soon) shall narrow down the list to 10 male and 10 female model-aspirants who will compete for the title and join the ranks of iconic models like Tina Maristela Ocampo, Marina Benipayo, Tweetie de Leon, Apples Aberin, Patty Betita, Phoemela Baranda and Rissa Mananquil, to name a few. Female aspirants must be at least 5’8” tall with a (maximum) waistline of 24 inches, while male aspirants must be at least 5’11”. The competition will have four preliminary rounds: Catwalk Challenge, Model Look Challenge, Face Challenge and Body Challenge, each one to be preceded by a master class conducted by a fashion luminary (model, photographer, stylist, director, etc.). Interested parties may contact The Zen Institute at 024122528/024411712.